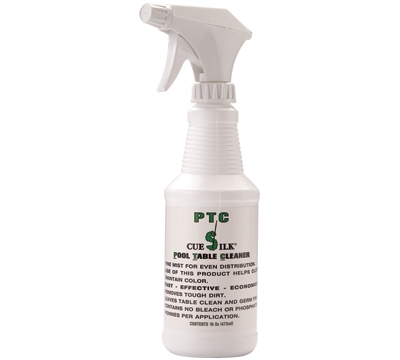 Cue Silk Pool Table Cleaner removes dirt and germs from your table safely without bleach. This one swipe formula saves your cloth color and your cleaning time by eliminating the back and forth cleaning motion. The adjustable spray head included on each 16 oz. bottle allows you to control coverage.